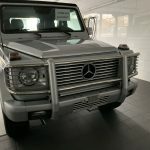 The W463 Mercedes-Benz G-Class Cabriolet is one of those vehicles that you might have a hunch is special, but aren’t quite sure how special until you really look at it and then ultimately look at what kind of prices they are commanding. I’ve taken a look at these G Cabrios before and my consensus is that they are loved for two reasons. The first being that they are extremely rare and people love to have what others can’t get. 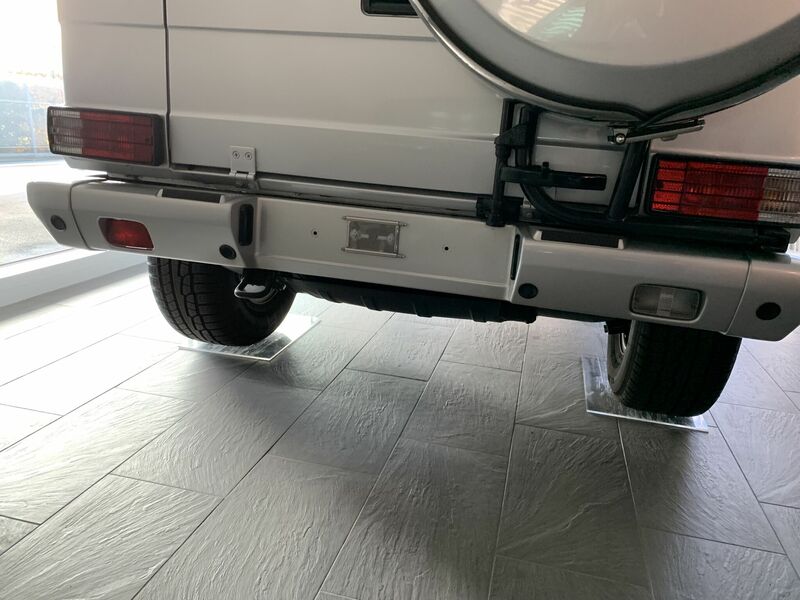 Second reason being that it is simply a G-Wagen with a power convertible top. Jeeps and Defenders with cloth tops are cool and all, but just easily pushing a button to raise or lower the top on your SUV that can literally climb a mountain is a luxury that people will seriously pay for. 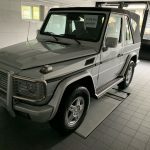 This 2006 G500 Cabrio up for sale in Switzerland looks to be case once again. For additional pictures, questions regarding the condition of the car, please contact us at +1-310-663-3002, by phone call, text, whats ap, or I-message. Thank you for visiting our Auction, we are Fair Trade Import UG, a newly formed Classic Car Dealership formed by Veteran Ebay sellers. 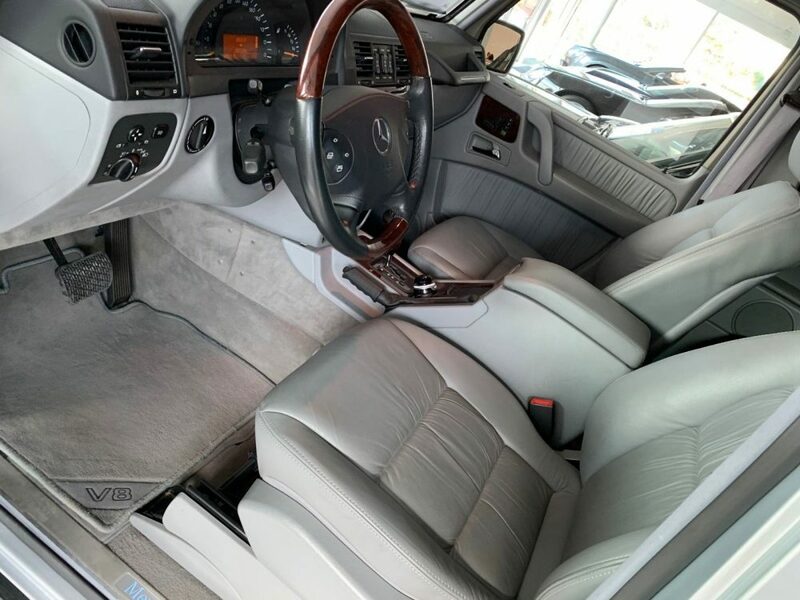 We deal exclusively in vehicles that are appreciable assets and will generally continue to go up in value over time. For further verification of our impeccable seller status, please feel free to request our personal Ebay IDs. This garage queen is for sale with worldwide shipping. Please judge us on the quality of this car. This is the kind of car you can expect from us in the future as well. 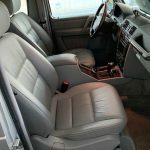 A rare, low miles, complete service history, all services done at a Mercedes Dealership, original paint, no accidents, ready to go vehicle. This car was tucked away in Switzerland and we were able to acquire it after months of searching and is now up for sale. 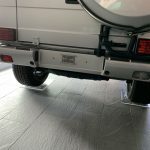 Complete set of new all-weather tires, original spare and OEM Mercedes spare cover. 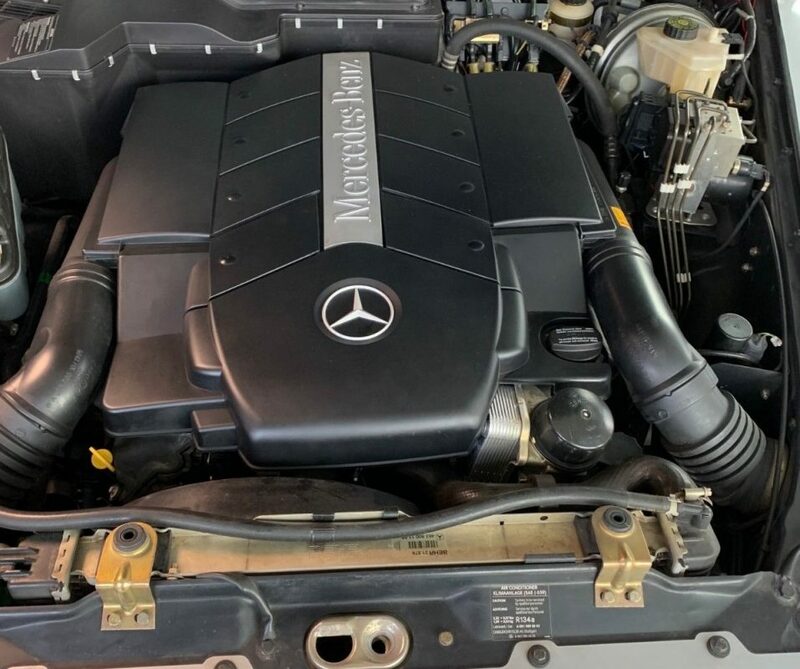 Before the sale, we will take care of a complete service on the car at a Mercedes Dealership and make sure all fluids, all filters have been changed and the service book has an updated stamp. Other than a few rock chips that have been touched up, there is no other damage to the car, clean inside, outside and underneath. Last major service was done in 2013 at a Mercedes Dealer in Switzerland, car hasn’t been driven much since then. 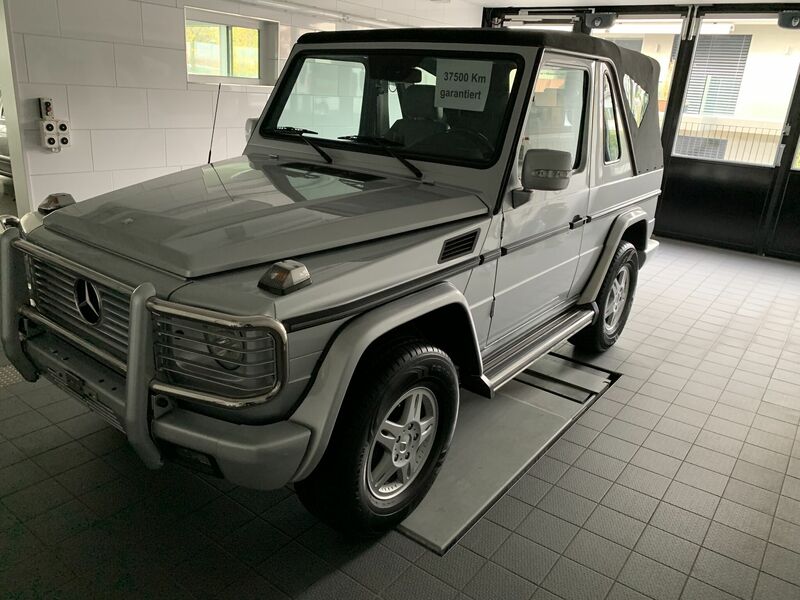 Heated steering wheel, heated front and rear seats, OEM Mercedes Brush Guard, 2 keys for the car, 2 keys for the guard, all books and European Navigation CD. Blue Illuminated Door Sills, tool kit, emergency triangle and medical kit. Aftermarket bluetooth wireless handsfree phone kit also installed. We want to gain a long term customer with this sale, regardless of it is another dealership or an individual buyer. We want to be the ones you give your business to find rare cars like this one! 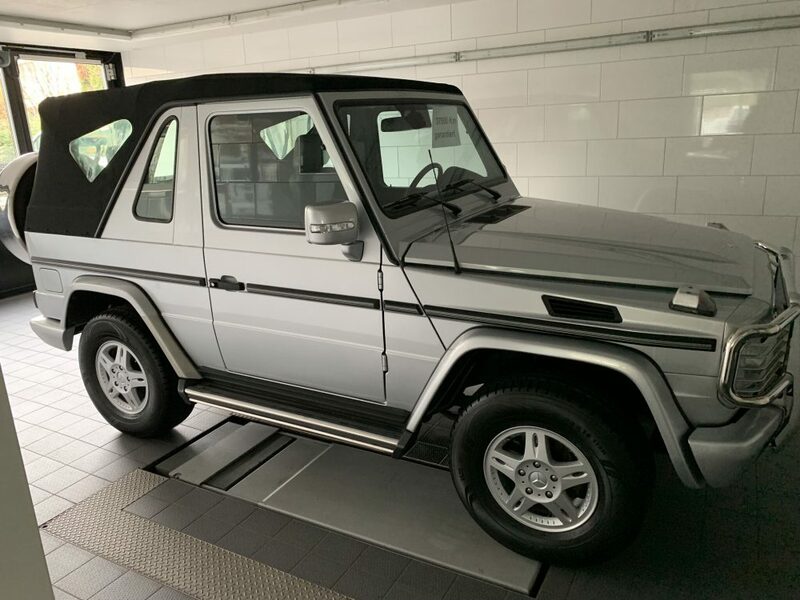 Just to be clear here, I got in touch with the seller and even though the auction says this G is in Houston, Texas, it is actually in Switzerland. 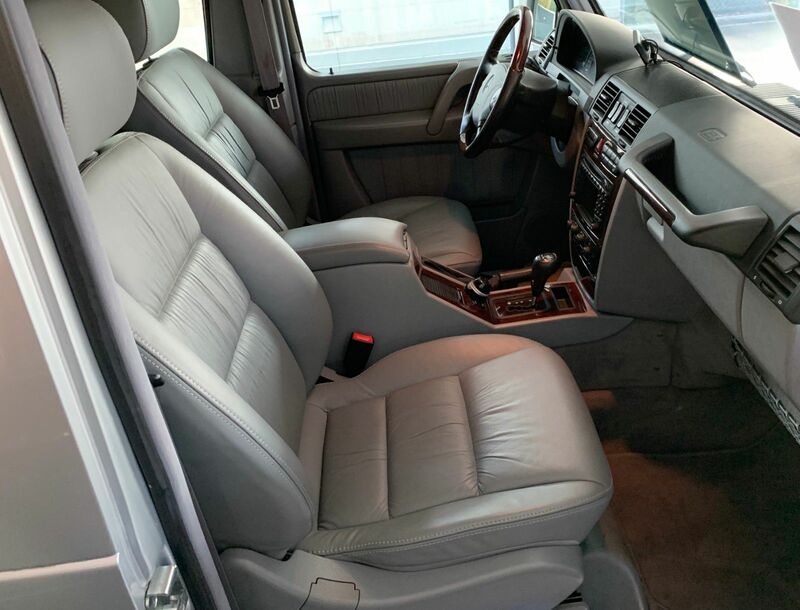 This isn’t ideal if you are looking to pickup the car in America and I’m not sure why the seller doesn’t come out and say it isn’t in Houston. 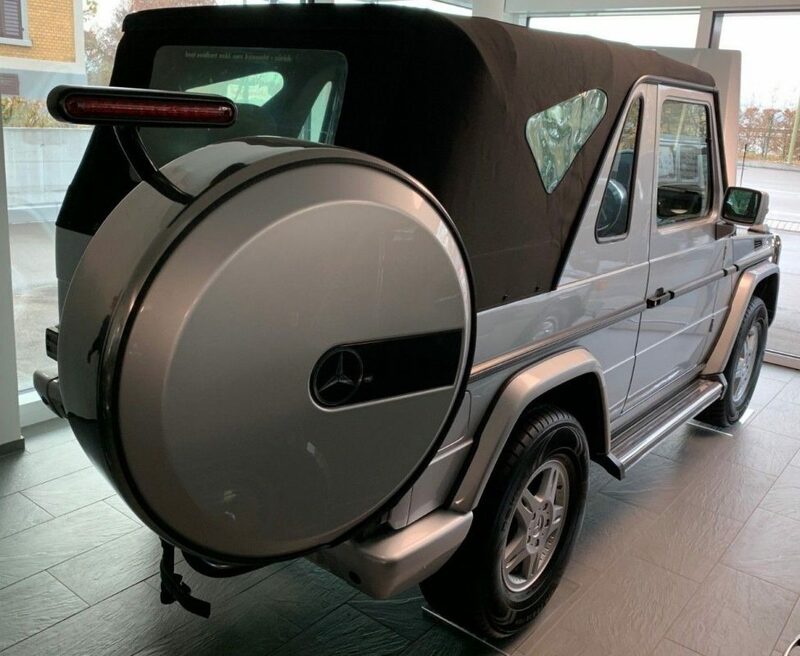 The good news is that these are able to be federalized by a company in Baltimore, Maryland of all places but you will need to add front and rear side markers, among other things, that this Cabrio lacks. Other than that massive headache, this thing looks really nice. Usually these are used as leisure vehicles at vacation homes and things of the same ilk so when these do come up for sale, they aren’t in too bad a shape. The tight photos aren’t helping anyone get a good look at the W463, but we can assume nothing is out of sorts with it. Now lets talk about price. The bidding has reached $100,000 already and I don’t think it is even close to stopping. The best comparable example I could find was a 2005 Cabriolet with 23,000 miles that sold for $140,000 at auction back in the spring. Granted, this example was already federalized and ready to go to its new owner so that maybe had some influence on the price, but I don’t think this one is going to be too far off. The example I linked to in my introduction was a 1999 and listed for $150,000 and I’m sure it didn’t have trouble finding a new owner. My guess? I think $125,000 wouldn’t be crazy if it was a North American bidder. If a European buyer wants it, probably even more. I told you these things were expensive. 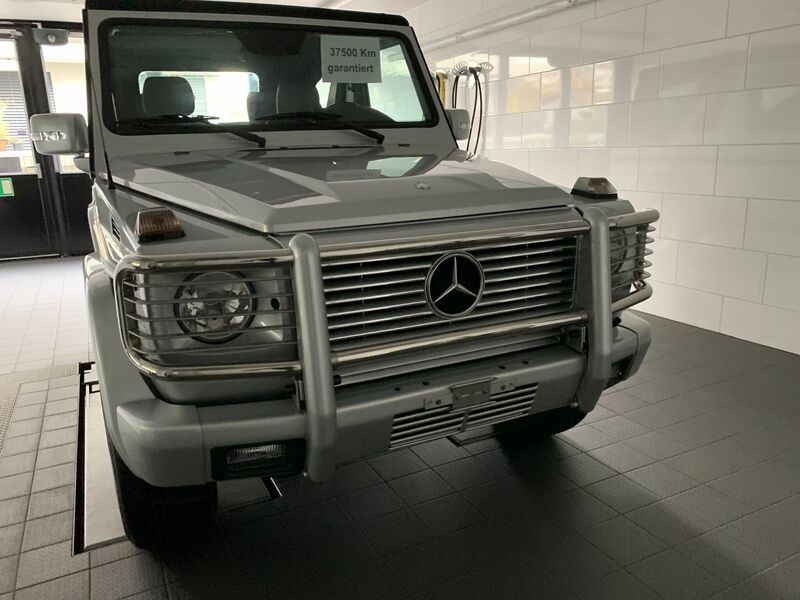 Tagged 2006, Cabrio, Cabriolet, G-wagen, G500, M113, Mercedes Benz, swiss, W463.